Ian McKellen Success (for the second time)! Post your feedback about a celebrity address you have tested. Win a $10 Gift Certificate! How? Test an Address and Post your Feedback! All passwords have been reset on January 14th 2019. To retrieve your new password click here. On the side, I marked the envelope as 'fan mail' , just so that the talent agency knows what kind of mail it is. I received only a week later! However, I am aware that some people are a bit sceptical: some receive their photos from Sir Ian in their SASEs unsigned, or don't receive anything at all. 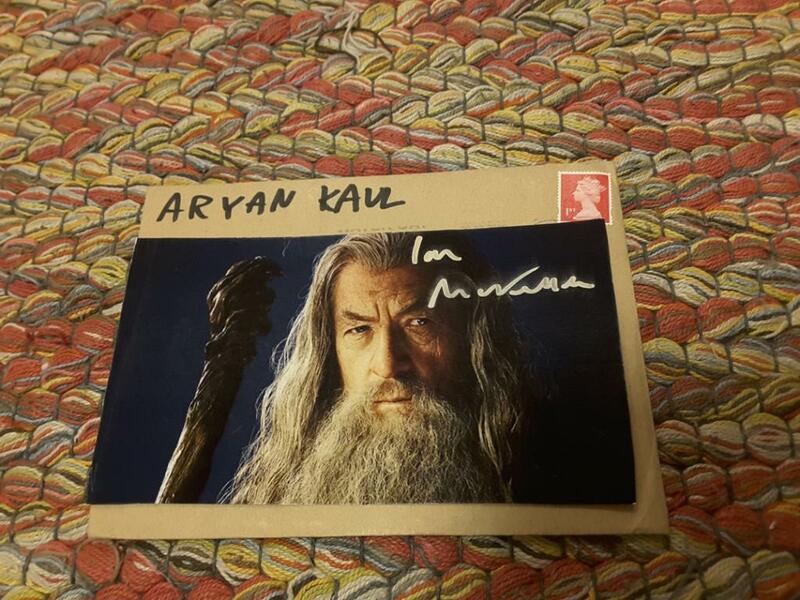 I sent two photos, one of his 80th birthday tour and one of Gandalf. 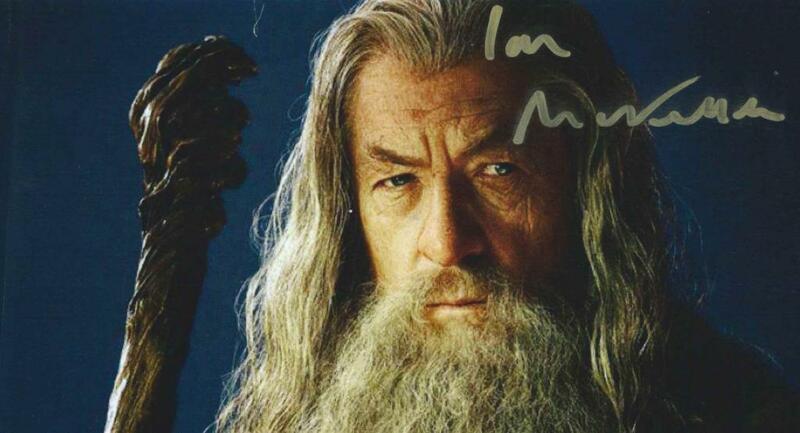 He only singed the Gandalf one. Maybe he has a thing of only signing only one photo? I really don't know, but only send one photo for future, to be on the safe side. I received it in my SASE only seven days later!! A proper scan of the photo. Re: Ian McKellen Success (for the second time)! You have been added to the list for the $10 gift certificate. ↳ Is This Address Still Up-To-Date? ↳ Is My Autograph Authentic? ↳ Has Anyone Had a Success Using This Address?